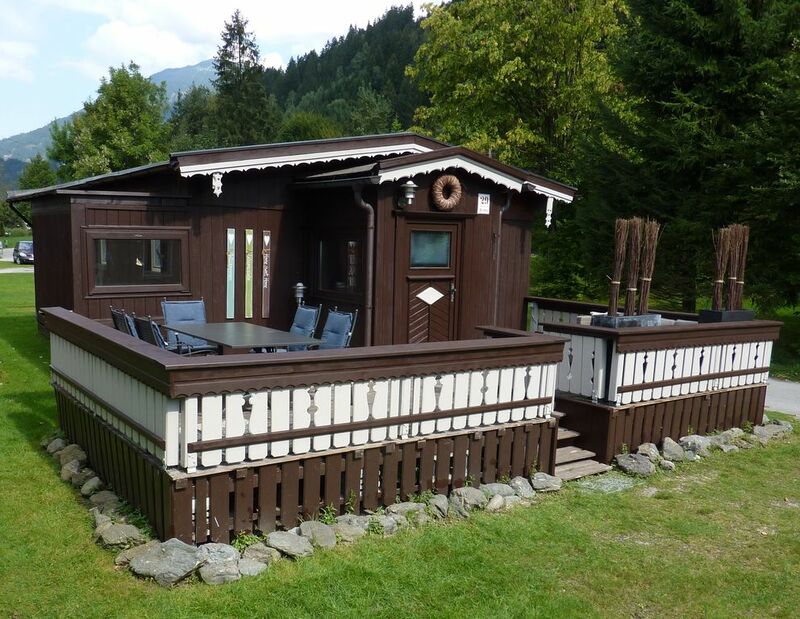 Centrally located in the Zillertal valley and quickly accessible via the Inntal motorway, the hut offers space for a large family or a beautiful holiday with friends. For the winter season, the heating is remotely controlled via the Internet, so you are expected on arrival of pleasant temperatures. You can expect a cozy living room with sofa and large dining area, cable TV, radio, free Wi-Fi, fully equipped kitchen (gas stove, microwave / oven / grill, fridge freezer, dishwasher), bathroom with shower and toilet, terrace with seating and Grill. Parking is available directly in front of the hut. The campsite (http://www.campsite-zillertal.com/) offers in summer and winter for a fee a very extensive offer with swimming pool (60m slide), sauna, spa, children's home with seasonal animation, western town, animal park, pony rides, swimming lake , Adventure playground and a 16m climbing gym, spa, fitness, shopping, bars and restaurants. In the surrounding area and the nearby village there are numerous other attractions. From the campsite you have a good starting point for hiking and mountain tours in the Zillertal Alps. Two ski resorts with extensive Apresskiangebot are via free ski bus within a few minutes. The Hintertux Glacier ski area is located at the end of the valley. In the square there Skitrockenräume, ski rental and ski training slope with lift. What to bring: bed linen and towels, these can also be obtained for an additional fee at the reception. Arrival from 16:00 clock, departure until 11:00 clock or by appointment. We are pleased to welcome you to our country. We enjoyed the small but cozy cabin of Family Becker. Email communication was easy and quick. We found the camp park very well suited for kids, with plenty to do. It was nice to have a ski school pick up at the front office for the kids. The cabin was nicely decorated and with a nice "home" feel. The directions provided by our host were clear and easy. We can imagine it would be great to visit in the summer as well. Thank you for a wonderful stay.